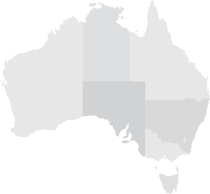 These Terms are governed by the laws in force in the Northern Territory, Australia. You agree to submit to the exclusive jurisdiction of the courts of that jurisdiction. If users access the Website from outside Australia they accept responsibility for ensuring or confirming compliance with all laws in that jurisdiction that apply to them as a result of that access or any consequent transactions or dealings with us, the Website or other users.